Hire the top 3% of Android experts. Toptal is a marketplace for top Android consultants and experts. 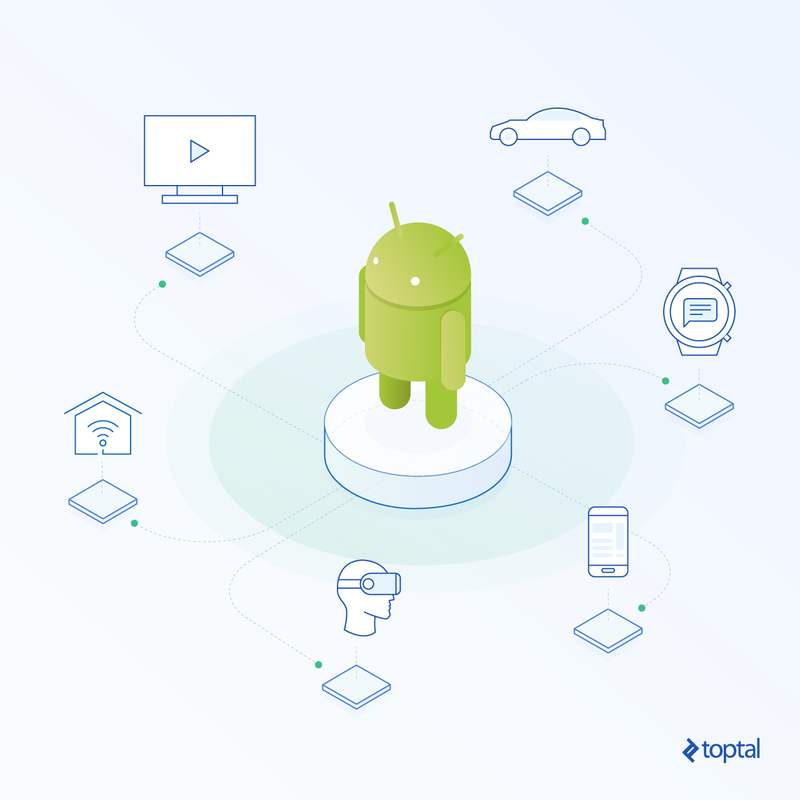 Top companies and startups choose Toptal’s Android development services for their mission-critical software projects. Toptal helps you hire proven Android app developers on demand, from its elite nework of Android freelancers. See why top companies and startups trust Toptal to hire top freelance Android experts. Toptal is a marketplace for top Android experts. Top companies and start-ups choose Toptal freelancers for their mission-critical software projects. Over the last 13 years, Karen's worked with C++, Java, Objective-C, and Swift. Previously he was using Qt/QML library extensively. Currently, he's working mostly on Android an iOS apps (front-end) development. He's addicted to clean and cool UIs with fluent animations and transitions. 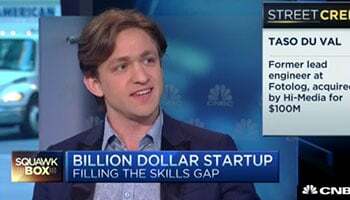 He's worked in many companies of different areas (EDA, financial, mobile, automotive) in teams of different sizes (from startups to multinational corporations). Behsaad is a founder and freelance developer with a focus on Ruby on Rails, Java and Android Applications. As a freelancer, he has worked for the biggest German eCommerce, insurance, and publishing companies. Before that, he was the project leader of DinoStorm, an Java-based MMORPG with over 8 million registrations. He has strong communication skills and feels comfortable working with startups as well as big cooperations. Jorge is a passionate developer who loves creating Android applications. Over the course of his career, he has worked for both BAC Credomatic and Accenture as an Android Developer and for IBM creating custom app installers. He also works as a freelance Android Developer whenever the opportunity arises and has lately developed an interest in iOS. Jorge is a great communicator and is comfortable both leading a team or working alongside others. Krste is a Senior Android Developer, with more than 3 years of experience in Android and 6 using Java, and multiple successfully completed projects. Luka is an Android developer with more than five years of experience who started his professional work during his software engineering studies and Microsoft internship. Since then, he has worked in a number of teams of various sizes. While Android is his primary focus, he is interested in all things technical and has experience working with web services using technologies like Node.js and Java EE. Andrei has been loving new technologies and how they change our lives since childhood (and his very first ES 1841 computer). Being an experienced Android developer, he is passionate about creating reliable and high-quality Android apps. He is flexible and detail-oriented. Oleksandr is a full-stack web developer with extensive experience in a number of technologies. He has contributed to teams that used CMSs like Joomla and WordPress, frameworks like Laravel, Symfony2, Express, and Sails, as well as modern front-end solutions like Angular and React. Oleksandr is an experienced Ubuntu user with fluent English and a can-do attitude. The reason for this is obvious to some: Android is open source and free to view, download, modify, or redistribute. These facts make it very attractive to mobile manufacturers since they can bring their own experience to clients directly at no additional cost. Moreover, the Android ecosystem has expanded in recent years to more than just mobile devices. Android Auto launched in 2014, and more than 45 auto brands have brought the Android OS into car PCs, which can then easily connect to Android devices and communicate with their apps. Android has also joined the Internet of Things battle with the Android Things framework, which allows developers to create production-ready devices without previous knowledge of embedded systems. The list grows even longer with virtual reality and augmented reality support libraries now allowing easy integration. While Android is expanding quite fast on multiple sides, it still uses the same programming language and SDK. This allows companies to scale more easily: Developers are able to create applications for multiple platforms with the same knowledge they already have. Although this sounds utopian, keep in mind that how users perceive the product is paramount. Great design tends to attract customers, but a stable, useful application with a good user experience keeps users from going away. That is why it’s crucial to have a good development team working on your product. They play a key role in the entire process. Great design tends to attract customers, but a stable, useful application with a good user experience keeps users from going away. Users tend to be very sensitive to crashes and poor performance. Ideally, applications should be stable while delivering services in a very short amount of time—usually less than a second. Then again, no matter how good the developer is, bugs will happen—but it is very important to minimize them and deliver what users expect. So, the question arises: When and why should you start looking to hire an Android developer? The answer: When you need to do any of the following things. We mentioned earlier that Android applications can be developed for cars and smart houses, but even wearables, TV boxes, glasses, and custom hardware devices are options here. As Android becomes the main fuel in these various areas of IT, it’s very attractive to jump on the bandwagon and scale your business by launching new products. This does require some additional resources, whether you already have Android app development teams or are just starting out. But by using SDKs provided by Google, developers are not required to learn new languages, approaches, or limitations as these platforms utilize almost the same code as any other Android application and can use all of its libraries. This enables fast implementation and quick delivery of fully functional, stable products to new markets. If this is what you need, it’s time to hire Android developers. Those who are familiar with the frameworks you plan to use can help you launch your minimum viable product even more efficiently. Have you ever been in a place where you wonder if things could be done differently? Or where your teams are finding themselves bogged down by limitations? Sometimes projects get in a position over time where expert consultation is the only way to move forward. Whatever the reasons are for a particular project, the goal should be clearly defined. Once you have that piece ready, hiring an Android consultant can be beneficial for your company. Compared with someone in-house, they can do a fuller and more objective analysis of your current Android app development and its processes. Their opinion will be based on the experience that they had while working on multiple projects. From that variety, they will be able to see different solutions and approaches to problems than in-house teams have gotten in the habit of turning to. They can investigate UI implementation, modularity, performance and memory management, offline storage, data syncing and caching approaches, SDKs, frameworks and libraries, general techniques, code organization, and coding patterns used. They will be able to identify best practices as well as pain spots and suggest how to solve problems and avoid potential pitfalls. Android contractors can also compare your current implementation with modern principles. For example, they can boil down the benefits of using different background syncing approaches or specific technologies like Realm (a mobile database). If any of this would be useful, there’s just one last thing you need to be ready to hire an Android consultant in this case, and that’s open-mindedness. Android contractors will do their best to provide the most objective and well-reasoned analysis of your project, but unless relevant parties are able to detach from their feeling about a project long enough to benefit from constructive criticism, the analysis would be for nothing. But with a good attitude here, hiring an Android consultant can get you the full analysis you need in order to prioritize and solve your project’s problems and finally move forward. Sometimes projects are not just stalled, but actually failing. It can be such a disaster that it’s hard to see a way to still succeed. These things may happen due to a lack of knowledge, poor task delegation and management issues, or something completely different. The bottom line is that the product needs to be delivered as agreed, and on time. If your team is constantly not meeting deadlines, damage both to client and investor relationships can be substantial. The problem needs to be solved and weak links need to be replaced. In order not to lose even more than they already have at this point, companies can hire experienced Android freelancers to replace individuals until this process is over. With this approach, your company can more or less guarantee that product development will move forward and meet deadlines while the HR sector assembles a new team. It may even happen that all sides are satisfied with performance during this temporary job, so the arrangement can turn into long-term cooperation. This gives your company a huge amount of flexibility while dealing with internal problems, without compromising on results and obligations. Depending on the innovation your project is bringing to market, its tasks may naturally require more specific knowledge. In these moments, not a lot of developers can complete such tasks. It’s perfectly normal: No one can expect employees to generally have the ideal, ultra-specialized knowledge for every task they will face. This is perhaps obvious for highly encrypted applications like WhatsApp and medical applications that need to be HIPAA-compliant in order to protect the privacy of patients. These examples require an Android developer to encrypt, store, and use data in a way that will keep customers safe from potential fraud. In order to do this, they need to have highly specific knowledge of both encryption algorithms and the security systems that exist in the Android OS. This is a perfect scenario where a freelance Android developer can be brought in based on their previous experience. This may cost the company a bit more, but meanwhile, the project will continue as planned, meeting deadlines and keeping promises. This is how companies become pioneers on the market, by growing and solidifying their user bases, using the innovation they’re developing to ensure the loyalty of their customers. Those who wait for their in-house employees to catch up will also be playing catch-up in the marketplace. Every company in the world—whatever its field of work—has room for improvement. How much could “using Android for work” contribute here? Often, a significant amount. Areas of potential improvement vary, from the elimination of manual work to simplifying existing workflows. One example is mushroom cultivation. Depending on the species, various external factors need to be constantly maintained, such as the humidity, temperature, light, and amount of carbon dioxide in the air. If the hardware structure is in place, a single Android developer can develop an entire system through the Android Things SDK that will completely automate the stabilization of these factors. That way, employees are free to focus on regular checks of the system and other tasks that will boost the company’s growth. A second example is the restaurant business. Waiters lose significant amounts of time on walking and taking orders. The entire flow may be improved significantly through the use of Android applications. While clients are making orders, waiters can note them through the app; chefs in the kitchen will be automatically notified and they can start preparing food immediately. This can then be integrated with the payment process, which can be automated through APIs from companies like Stripe. In short, all that is required is taking a step back and looking at an employee’s typical day in order to identify pain points. After that, a company can hire Android freelancers to help them design and implement solutions that help individual employees save time. This also makes clients more satisfied: The end product or service that they pay for has better quality. This way, with happier clients and employees, the business is ready to scale. At this point, maybe it’s clear that you need to hire an Android developer. In some of our scenarios, it’s easy to see why it should be a freelance Android developer in particular. But when it could go either way, why not stick with hiring regular employees when it comes to Android development? Let’s put it this way: How much do you need to do any the following things for the project at hand? Every business looks to save money where it can—and where it doesn’t end up costing even more later. If this is a stronger requirement than normal, this is a clear sign you’re ready to hire a freelancer. That may seem counterintuitive. But what does it look like when you’re hiring an Android developer? Say two developers have the same amount of knowledge and expertise. One is a contractor and the other would be a full-time employee. Usually, when it comes to full-time employees, the recruiting process can be costly. It takes time to find someone that you’re satisfied with and that fits into the team. The next step usually involves training the developer until they reach a certain level of expertise that allows them to start working on the project. Full-time employees also have benefits that have to be paid. Those can be medical and/or dental insurance, vacation period, sick days, worker’s compensation, and more, depending on your company. All these need to be part of an analysis of full-time employee cost. They charge you only for the amount of work that was done, so if there was no work, there is nothing to pay. Usually, there is no special training required for an Android contractor, as they often have a significant level of knowledge and expertise in the field. Contractors work at the convenience of the company. A great example is that if you decide to pause or shut down the project, there is no one to lay off, per se. If a contractor is not providing what was expected from them, it’s very easy to stop working with them. On the other hand, if that would be a full-time employee, usually you have to consult with your HR department to follow the rules of the termination process, which can be very lengthy and complex. Overall, companies have much better flexibility with contractors and usually spend less money on them in the end. As we mentioned above, the recruiting process can be lengthy and costly. In contrast, contractors looking to work specifically on projects like yours are easier to get in touch with through various platforms. In order to stay competitive in the market, even Android developers with proven track records have to constantly learn and evolve. But Android consultants will be used to presenting their previous experience, being self-driven, and contributing more to the final product. Having an experienced team is very important for any product. Not only will they come up with different approaches, features, and ideas for future improvements, they will also spend a significant amount of time planning the project roadmap before they actually start developing. This is simply required if you want a stable and easily scalable product. Good implementations aren’t just measured in features and how few crashes they have. The amount of time required to add new features or modify existing ones is key once you’re up and running. Android developers should have experience with current standards and trends that are popular in Android programming. From the standpoint of organization, they should be using Model-View-ViewModel (MVVM) or Model-View-Presenter (MVP), dependency injection libraries such as Dagger2, Retrofit 2, or OkHttp for API and network communication, Picasso for lazy image loading, ButterKnife for view binding, and RxJava2 for multithreading. With this combination, Android programming logic gets split into more independent modules with clearer responsibilities that can be easy to test. That way, your project will be more scalable, solutions will be more stable as they are easier to test, and even code will be more readable and understandable to future employees. You’ll know your potential new hire is a real Android expert if they know how to use the above technologies, or can articulate well why they don’t. If you need to assemble a team of developers quickly to jumpstart your project, rather than taking the time to train them yourself, it’s time to hire freelance Android developers who know these things inside and out. Not so rarely, deadlines are tight. Sometimes it happens that a team gets in a position that deadlines simply can’t be met and clients do not want to postpone release dates for various reasons. This is definitely not pleasant for any developer in the team nor for someone who leads them. Pressure is high, and that leads to a bad atmosphere and unsatisfied employees. In these cases, as you have to look for a solution, hiring someone temporary that can simply “jump in the fire” can be beneficial in many ways. First of all, experienced Android developers have had quite a career with deadlines. They’ve faced the situation of being under pressure while meeting code in advanced stages of development and in various shapes. Quite often, they will have ready templates or libraries for scenarios that are repetitive, such as background sync services, DAO implementation, and UI components. For example, they can easily create complex tests using the Espresso test recorder in just a few minutes. They’ll know how to write complex JUnit tests that will assert business logic or even mock web servers and test API communication. After that, they will be able to implement or fix various issues and prevent problems even before manual testing, while avoiding regressions. Due to this, they can be your secret weapon in boosting up team motivation: They can take over part of the pressure from the team and help them relax a bit. This leads to better productivity from each individual as they feel more satisfied and less stressed—and therefore more clearheaded. Second, finding Android freelancers can be quite a fast process while avoiding additional obligations later on. Once the project is completed and deadlines are met, their contract expires and there are no unsatisfied sides. That said, they can help you out later on with maintaining your app, fixing bugs, adding new features, or the next deadline situation—but with freelancers, you’re left with flexibility here. When developers are lacking experience, or simply are under pressure, a product may end up stuck in a desperate, low-quality state. This may be present in various forms, such as being slow and unresponsive, having a bad user interface or experience, or being hard to scale. This can have various negative effects on your business growth, especially if your products consist of only mobile applications. More specifically, apps are granted limited resources by the system and, if they are not managed properly, applications will behave in unexpected, slow, or unresponsive ways. Any of this can lead toward losing clients and getting negative reviews, which can then turn off even more potential future users. And if your product is hard to scale, it’s increasingly difficult to stay in the race with the competition. Each new feature that you plan will require much more time to be developed and you’ll have to spend resources on additional team members to keep pace. For example, one of the most common flows involves memory management and bitmap loading. Because images consume a lot of memory, this is quite an expensive operation in Android. Bitmaps should be handled properly and recycled as soon as they are unused. If not, memory leaks will occur and out-of-memory exceptions will be thrown. These are very hard to debug as they don’t provide much detail about where and how they occur. Although the above-mentioned points require developer attention, companies often aren’t in a position to prioritize them over product development. However, if Android programming code is not continuously maintained or improved, there may come a time where absolutely any non-cosmetic change will bring more than its share of problems. As code complexity grows, features and modifications will be harder to add, while bugs will be difficult to identify, reproduce, and fix. Developers won’t be able to track exponentially growing usage scenarios and will lose sight of how their changes will affect the rest of the application. Using this approach, a product will make gains in quality and stability without slowing its visible development progress. Is Your Business Ready to Profit from Android’s Flexibility? Whether you’re looking for highly professional developers to reduce costs or get additional help, there are times when it’s clear that you should hire Android consultants. You’re now armed with better options to choose from for the next time you find yourself in one of the situations discussed here. Although the traditional ways of conducting a business are strict when it comes to employees and what this term means, times are changing. Sometimes it’s just a matter of taking that first step into the remote economy—but once you do, you won’t look back. Android is a trademark of Google, Inc. The Android robot is reproduced or modified from work created and shared by Google and used according to terms described in the Creative Commons 3.0 Attribution License.